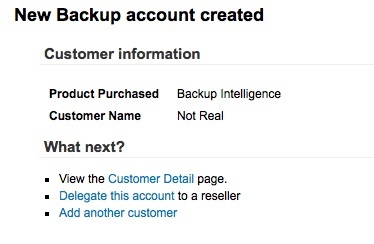 To add a customer in the Backup Intelligence admin console, click “Add Customer” under the customer tab. 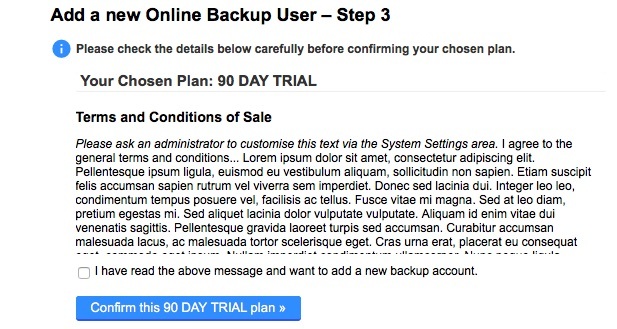 You will then be taken to a page where you can choose to add a customer to the trial or add a customer to a personal plan. 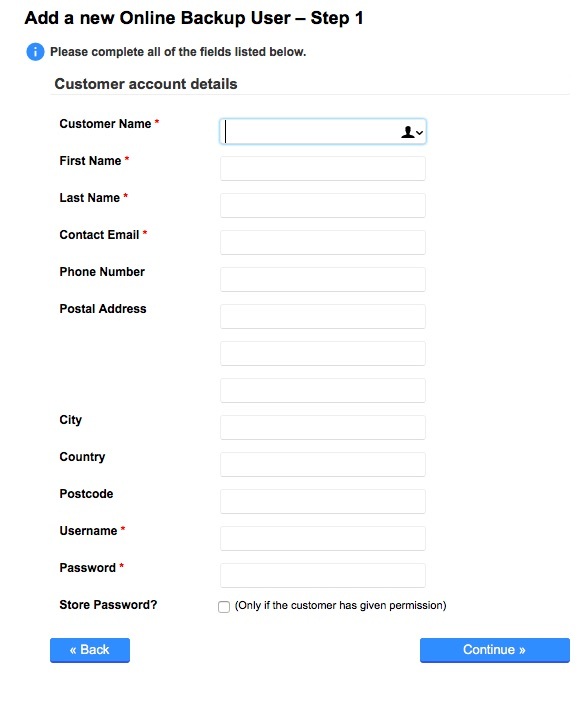 Once you have chosen a plan you need to fill out a registration form for the customer. Once all the relevant information has been entered click “Continue”. You will then be taken to the Terms And Conditions page. To agree simply tick the box below and click the button to confirm. You will then be given confirmation of your new customer.